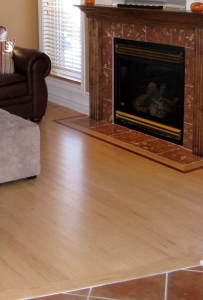 Hardwood flooring borders and inlays add elegance and the feeling of luxury to your home. 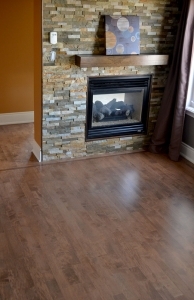 These decorative hardwood flooring accents come in many different shapes, sizes, colours and wood options. Adding a border to hardwood floors creates an impression of superior craftsmanship to a room. If you are looking to add pizazz to a space without a lot of architectural interest, adding a border to the hardwood floor will definitely elevate the style of the room. A hardwood flooring border is typically done in the same material as the rest of the floor and usually consists of eight to 12 inches running along the wall. A border frames the room with the hardwood flooring much like a picture frame, enclosing the ends of the rows with flooring that runs perpendicular to the rows, so the rows do not terminate into a wall. A feature strip is flooring made from a different material that accentuates and highlights the decorative border and also enhances the hardwood flooring installation. 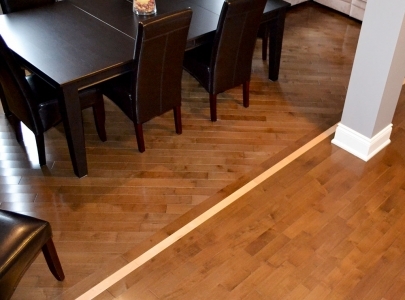 A feature strip can be darker than the surrounding hardwood flooring (e.g. walnut or mahogany are the most popular as they are offered in different shades) or lighter (e.g. maple) and can be made from many different materials, shades or sizes. 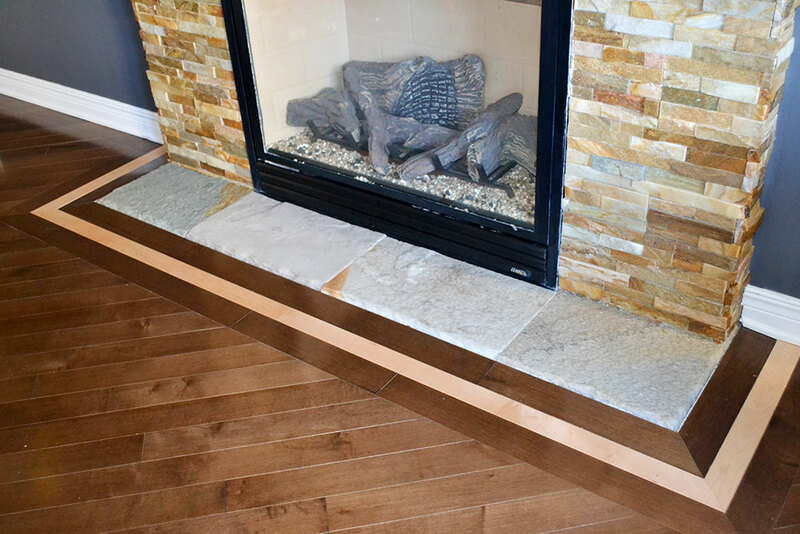 When considering installing a border and/or feature strip in your hardwood floor, the best time to do it is when the floor is being installed. Feature strips are often run along the borders of walls, typically six to 12 inches off the wall, but not so far that it disappears under the outer perimeter of an area rug. Hardwood flooring inlays can be used to visually pull a space together or create separation between two areas. For instance, inlays can serve to harmoniously meld vastly different flooring materials between adjoining rooms. Alternatively, hardwood flooring inlays can be used as a means to designate gathering spaces and be an anchor for a grouping of furniture, like an area rug would. 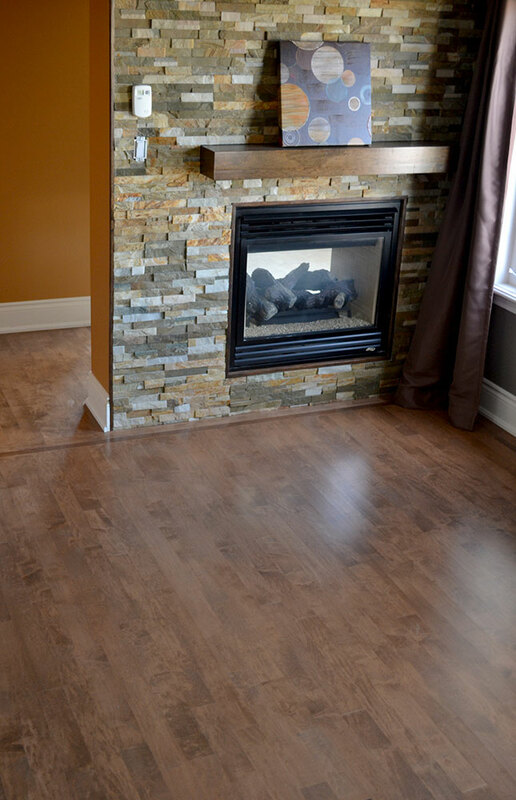 DUROwood Flooring delivers high quality workmanship in a professional and friendly manner to both residential and commercial customers in Ottawa. 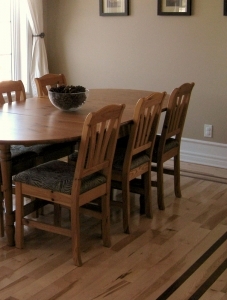 We work with hardwood from many angles: we install, refinish, sand, stain and repair hardwood floors. We work on stairs and railings, wood moulding and interior trim work as well. DUROwood Flooring has been delivering exceptional hardwood flooring services to customers in the Ottawa Valley and surrounding area since 1999. Hardwood is our passion. 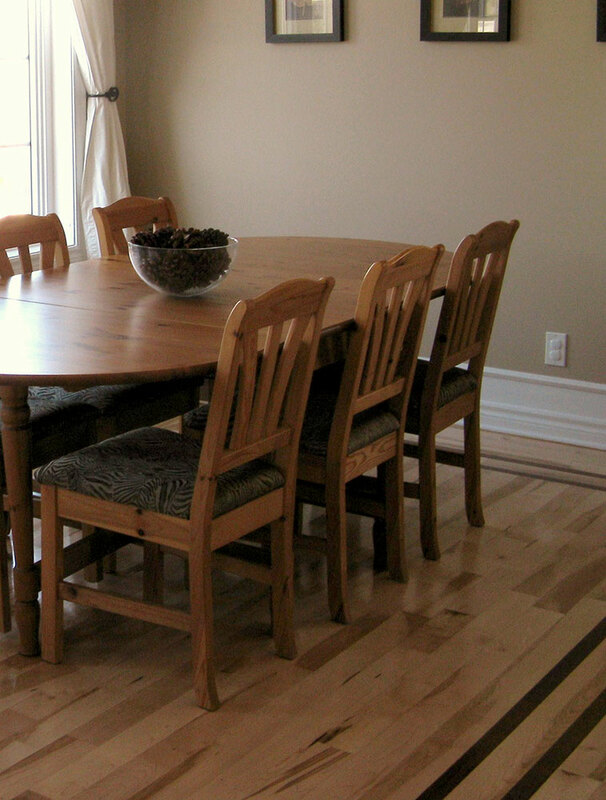 We use only the best-quality hardwood products for all our projects.